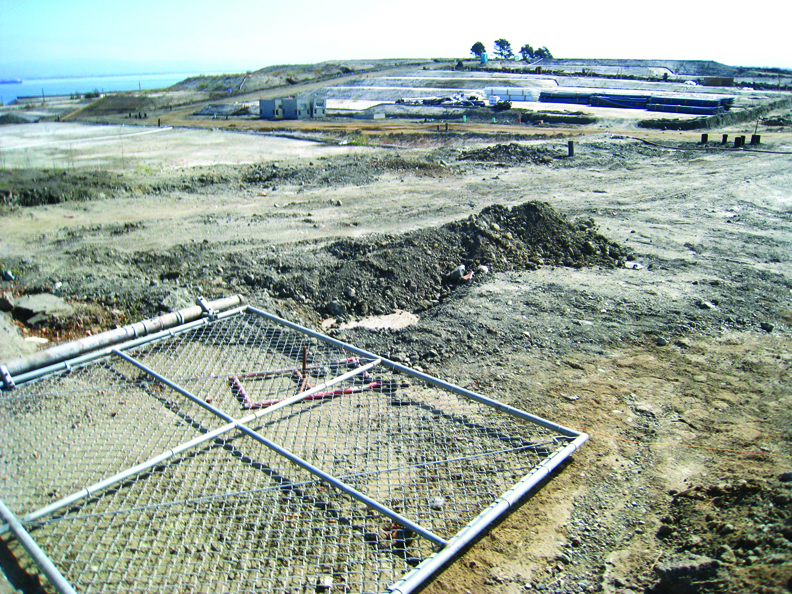 The San Francisco Labor Council is working hand in glove with Lennar to persuade the Board of Supervisors to approve the draft environmental impact report so development can proceed on one of the most toxic Superfund sites in the country. “Say Yes to thousands of new jobs at Hunters Point Shipyard,” screams their slick brochure that recently landed in mailboxes. The Labor Council expects Lennar to give those jobs to its construction trade union members – mostly white men who don’t live in San Francisco. To appear concerned about the 40-50 percent joblessness in Hunters Point, they say they want to build a community center and a facility to train 30 student workers – on the toxic Hunters Point Shipyard Superfund site. And they want $2.3 million of the federal stimulus money to build it. President Barrack Hussein Obama never ever planned that stimulus money would be used to exploit innocent workers. He never planned to build any facility on toxic land using taxpayers’ money. The rank and file union members may not want to work at the Shipyard even if Lennar starts building its thousands of condos once they learn of the threat to their health. The workers have not been told that even Parcel A, the cleanest part of the Shipyard and the only part that has been turned over to Lennar so far, is still toxic and that Lennar has been handed more than 500 notices of violation and has been fined $515,000 by the Bay Area Air Quality Management District. Some weeks ago one high exceedance measured over 400,000 structures of asbestos fiber per cubic meter. The cap set by the San Francisco Department of Public Health is 16,000 per cubic meter. The paradox is that one single asbestos fiber, if it enters your lung, can cause cancer. The adverse impacts are not immediate but appear after some time. The Labor Council’s mass mailing is misleading in several respects – still touting Lennar’s long broken promise to make 33 percent of the condos “affordable,” for example. Tired old lies will not win the support they seek. The brochure does injustice to this labor town and its long history of union workers fighting for good jobs in a healthy and clean environment. Why would so-called progressive members of the Board of Supervisors endorse innocent workers to be poisoned working at the Hunters Point Shipyard, where depleted uranium was tested? That’s what they did when they voted March 30 to permit the Labor Council’s $2.3 million training facility to be built at the Shipyard. This plan has NOT been vetted and the Board of Supervisor did wrong by voting in favor of this plan. Those that voted to approve it are David Chiu, Carmen Chu, Chris Daly, Eric Mar, Ross Mirkarimi, Sophie Maxwell, Sean Elsbend, David Campos, Bevan Dufty and John Avalos. These progressive Supervisors have now sold their souls to the devil. How is the San Francisco Planning Commission going to pass this permit? Nowhere was this training facility mentioned in any plans drawn up for Parcel A and the nearby areas of the Shipyard. No permit should be issued to build a brand new facility for training workers or to accommodate artists to live and work in an area that is so toxic. No good will come at Hunters Point Naval Shipyard until the entire mess created by the United States Navy is mitigated to those standards laid out by Proposition P. Never forget that 87 percent of the voters of San Francisco voted for Proposition P in 2000. The plan to build over 10,000 condos on the Hunters Point Shipyard is plain wrong. Parcel E and E2 must be cleaned to the highest standards as mandated by Proposition P. Right now that area is contaminated by radiological elements, PCBs, mercury, lead and over 400 toxins that emit very high readings and adversely impact all life forms, and that includes human life. The City and County of San Francisco passed the Precautionary Principle. If any doubt arises that any life could be adversely impacted, all work on a project must be halted and the required investigation carried out to remove all doubt. The ongoing high exceedances on Parcel A are proof enough. The toxic dust and radiological elements register so high that they must be contributing to the proven history of cancer and other very serious ailments in Bayview Hunters Point. The U.S. Navy is responsible for cleaning up the Hunters Point Shipyard. But the mayor and the San Francisco Board of Supervisors are all backing the Navy’s plan to hurry up and cap the land – some of the most toxic land in the U.S. – and give it up for development, starting with construction of a stimulus-funded facility to poison innocent workers. Francisco Da Costa is the director of Environmental Justice Advocacy. He can be reached at fdc1947@gmail.com or through his website, www.franciscodacosta.com.